Your bones need more than plain calcium. They're actually made from calcium phosphate. When it comes to this combination of nutrients, your diet has a better chance of lacking the calcium, but you probably don't need to worry about phosphate. When you're low on calcium, your body resorts to taking it from your bones to ensure that levels of calcium in your blood are sufficient to keep muscles and nerves working. If you need to complement your diet, you may find calcium phosphate in supplements. Just as its name sounds, calcium phosphate is made from a combination of calcium and phosphorus, but several different forms exist and they fill different jobs. One type of calcium phosphate, known as hydroxyapatite, is the primary mineral your body uses to build and strengthen bones and teeth. Other forms of calcium phosphate are used in food products such as table salt, baked goods and condiments, where they help prevent caking, condition dough and act as a leavening agent. Calcium phosphate is also added to foods to boost their calcium content and used to make calcium supplements. Calcium phosphate is one possible type of calcium you'll find in supplements, but it's not the most commonly used form. It contains a smaller amount of calcium than other compounds, such as calcium citrate and calcium carbonate, which makes it less convenient because you have to take more tablets to get the same result. However, two other types of calcium phosphate -- dicalcium and tricalcium phosphate -- have a higher amount of elemental calcium. Tricalcium phosphate has about the same amount of calcium per dose as calcium carbonate, according to a study published in the "American Journal of Clinical Nutrition" in July 2010. Preventing or treating a calcium deficiency is the main benefit you'll gain from taking calcium phosphate. Your body continuously removes old or damaged bone and replaces it with new bone. If your diet doesn't provide a steady supply of calcium, your bones will lose density and weaken. While it's best to get calcium from your diet, supplements can make up the difference. One group of researchers found that calcium phosphate was a better choice for treating osteoporosis, but in another study, tricalcium phosphate and calcium carbonate had about the same impact in postmenopausal women with osteoporosis, according to the July 2010 issue of the "American Journal of Clinical Nutrition." Adults should consume 1,000 milligrams of calcium daily; women over the age of 50 and all adults over 70 should increase their calcium consumption to 1,200 milligrams daily. 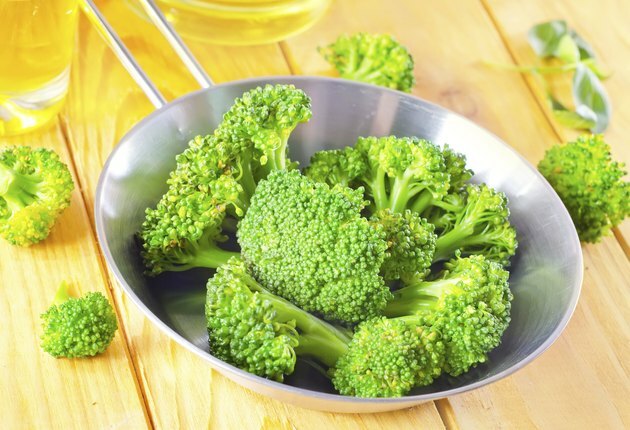 The best way to get calcium is from foods such as low-fat dairy products, broccoli and green leafy vegetables. Track the amount of calcium in your diet for a few days to determine whether you need to boost your intake. Some people experience gas, constipation or bloating when they take calcium supplements. You may be able to relieve any side effects by switching from calcium phosphate to one of the other supplement forms. University of Arizona: Do I Need a Calcium Supplement?